NEW! 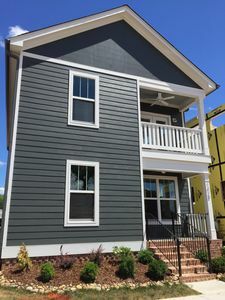 Chattanooga Townhome w/Rooftop Deck & Yard! 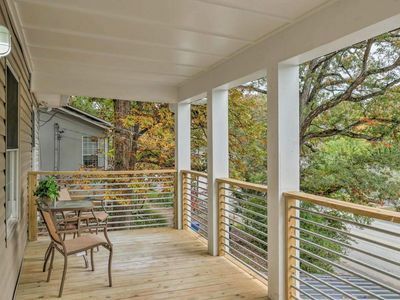 Fall in love with the natural beauty and rich character of Chattanooga in this lavish 2-bedroom, 2.5-bathroom vacation rental townhome for 4. 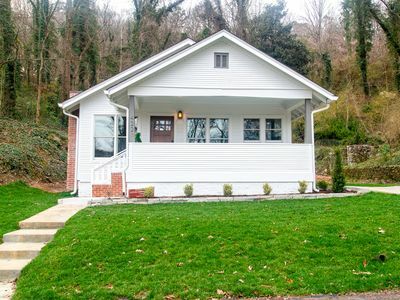 Located mere minutes from the Riverwalk, Chattanooga IronMan course, and Ruby Falls, this 2,100-square-foot home offers unparalleled convenience and one-of-a-kind character. 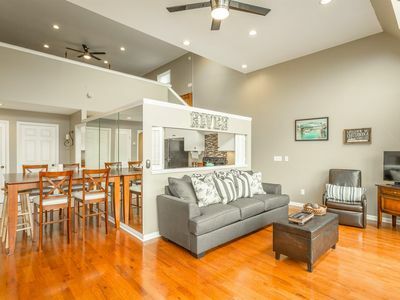 In addition to the top-notch location, this home provides guests with a private rooftop deck, yard, original artwork, and several other amenities for your group to enjoy! 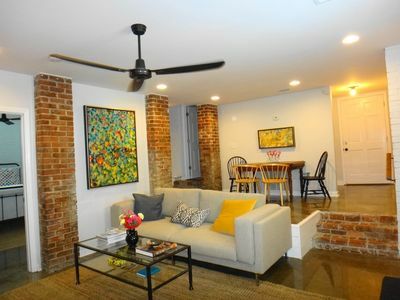 With large windows and original artwork, this spacious townhouse is sure to be unlike anywhere you've ever stayed. After a day outdoors, retreat into the living room and light the wood-burning stove. As you watch the Tennessee Titans game on the flat-screen cable TV, you'll be mere steps from the fully equipped kitchen. 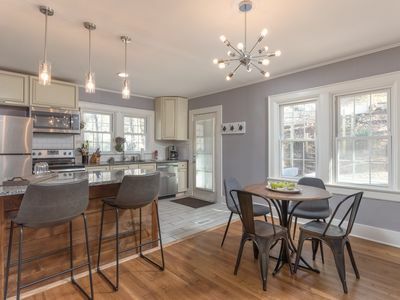 Whether you're an Iron Chef or culinary klutz, the kitchen's stainless steel appliances and expansive granite countertops are sure to make the cooking process fun and easy. Can't get enough of the southern sunshine? Head onto the rooftop deck and feast al fresco. 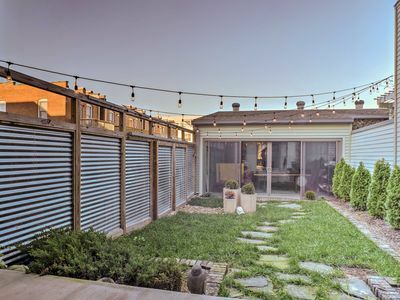 In addition to the luxurious rooftop deck, the home property offers a fenced in yard with string lights for added ambiance. No matter which bedroom you choose to retire to, you'll drift effortlessly to sleep amongst an array of gorgeous paintings. The master bedroom's fun pops of color and en-suite bathroom truly set it apart. Downtown Chattanooga has everything you’ll need for an unforgettable stay. 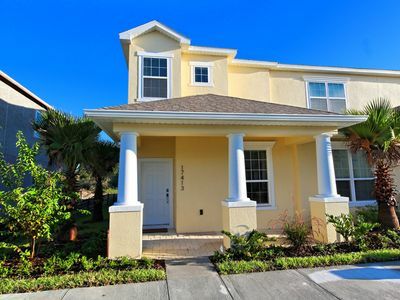 You’ll find top-notch restaurants, nightlife, shopping, and more just a short walk from the home. With breathtaking scenery and a revamped urban community on the shores of the Tennessee River, the Riverwalk is a must-visit. 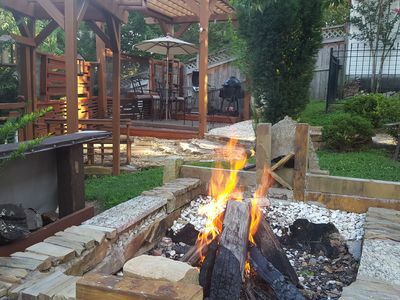 You'll find 13 miles of parks, restaurants, and family attractions in this bustling outdoor area. Be sure to check out Ruby Falls during your stay. Located less than 10 minutes from the property and founded in 1928, this waterfall attracts thousands of visitors each year and offers a plethora of tour options. 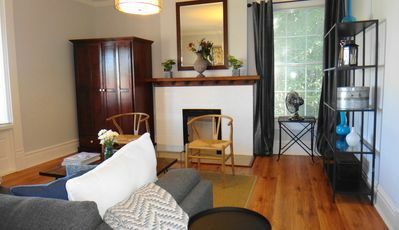 If you're in town for the Chattanooga IronMan you're in luck; this townhome is mere minutes from the course. 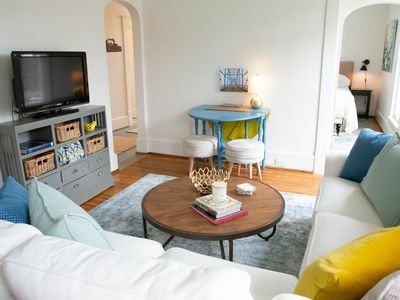 - Amenities include a fully equipped kitchen, flat-screen TV with cable, stainless steel appliances, a rooftop deck, private yard, computer and printer, free WiFi, free street parking for 1 vehicle, and more! 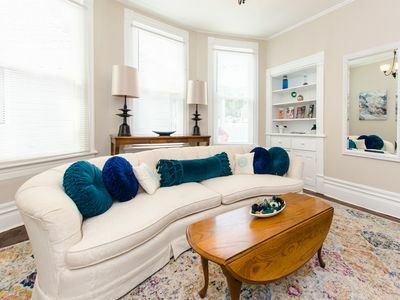 Beautiful Downtown Flat! 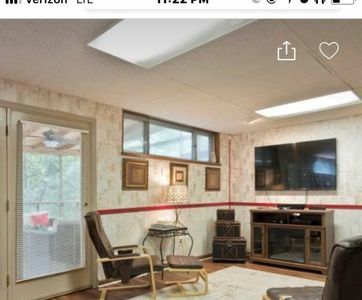 Great location and Price with Gorgeous space! 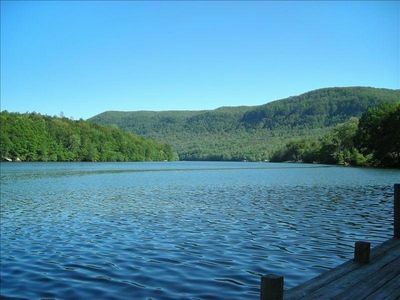 Huge family getaway close to everything in Chattanooga!! Relaxing River & Mountain Getaway. 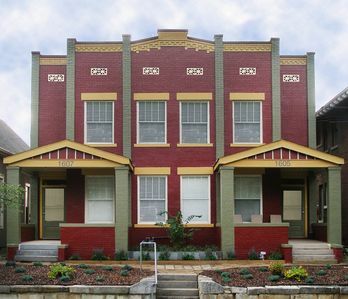 Downtown Chattanooga, Family Friendly, Walk, Bike To Events And Restaurants! 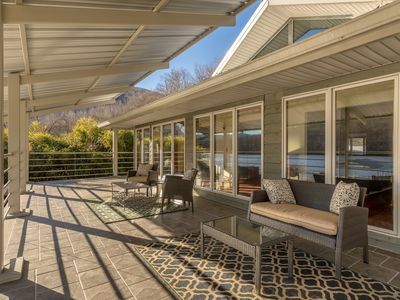 Perfect Getaway On The Water With Beautiful Gorge Views! 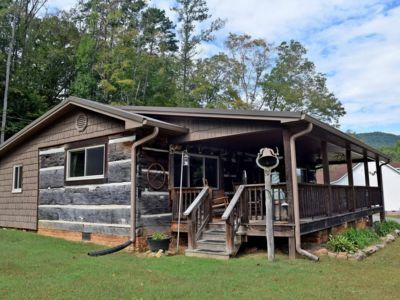 11 miles from Downtown! CHAT TOWN Artist's Chill Pad! 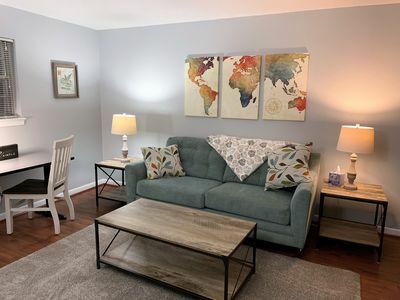 Downtown close to everything you will want to do! 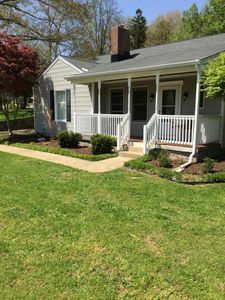 Freshly Renovated 1947 Cottage on one acre 4.3 miles to Downtown Chattanooga. 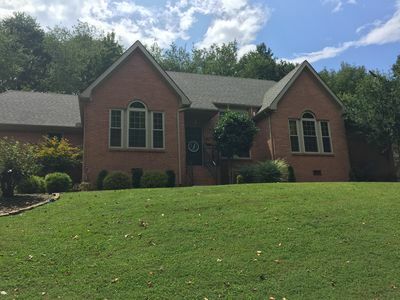 Pristine Home 1/2 Mile From Downtown Chattanooga!